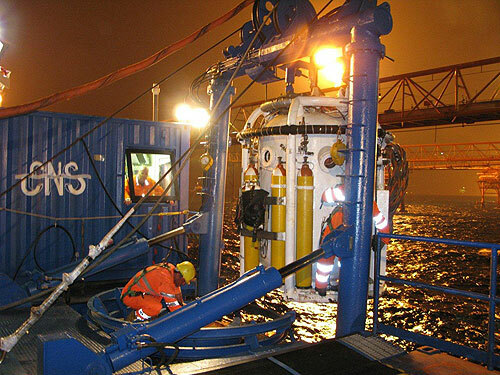 OrlandoPandolfi’s long experience in project management for technical-scientific diving is the foundationthat the partnership between Studio Pandolfi and CNS International, a leader in international offshore diving, has been built upon. Years and years of working with the most importantItalian offshore diving companies have madeStudio Pandolfian expert in international safe-diving certifications. A partnership with AISI, the Italian association of diving companies, has boosted the enforcement ofthe UNI 11366/2010 – Health and Safety inDiving and Hyperbaric Professional Activities – Operating procedure” across the entire industry.